For some, moving feels extremely exciting and is seen as an opportunity for new adventures and new beginnings. For others, however, long distance moving represents stress and hassle. Most people probably feel a mixture of both, and these feelings are completely understandable. A long distance move can be made much simpler with proper planning and breaking down big tasks into small, manageable ones. Here is a timeline that will hopefully help you feel in control of the moving process and make it easier and more enjoyable. If you haven’t yet found a home in your new city, Homes for Heroes can help you save money when buying and selling your home. Sign up to get connected with local real estate agents and mortgage brokers that will honor your service by serving you. Now is the stage to begin seriously planning and considering all that your move will entail. If you spend your time planning well now, your move will be much easier when it is time. Begin sorting through your belongings. You have probably accumulated some things that you no longer need, so make three piles: keep, donate, and sell. The less you have to move, the more time and money you can save. Collect all of your family’s important documents in one place including birth certificates, passports, legal documents, financial records, and more. Consider whether you want to use a moving company or not. If so, begin comparing prices. Make sure to ask every company you contact whether they offer discounts. A budget gives up to a 20 percent discount and Pods up to a 10 percent discount for heroes. If you are planning on flying to your new home, begin researching ticket prices. Make sure to check if you have any credit card reward points to redeem towards free or discounted fares! Make a budget for moving expenses so you can have an idea of what you can spend in each category. Don’t forget to include extra money for unplanned expenses such as food and extra moving supplies. Now is the time to start taking action. Begin completing the easy steps now so you will have more time for the more difficult stuff later on. Gather packing supplies. Ask around local stores if they have any extra boxes they’d be willing to give you for free. You can also use your blankets to cover furniture, fill your extra suitcases, wrap your plates in towels, and more. Request mail forwarding through the post office and update your mailing address for all credit cards, banks, and magazine subscriptions. Contact the new utility companies and schedule set up appointments for the day you arrive. These utilities include internet, cable, electricity, gas, and water. Pack anything you will not need before you move such as out of season clothes, holiday decorations, books, the attic, the basement, etc. Continue sorting through your belongings and planning for the move. It’s getting close! 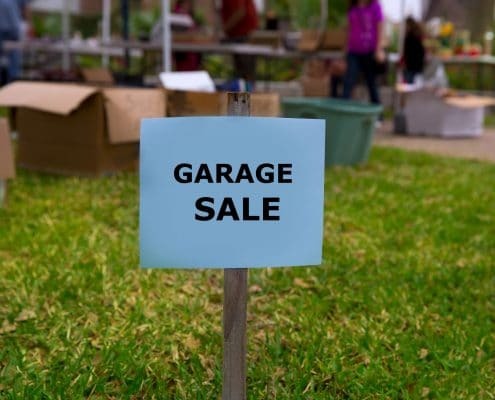 Have a garage sale if you have belongings to sell to earn extra money to use for unanticipated moving costs. Plan to use up any perishable food that you can’t bring with you. Service your car, especially if you’re planning on driving to your new city. It’s almost crunch time. It’s time to start packing in earnest! Pack, pack, pack! Now is the time to begin packing up almost everything in your home. Starting two weeks in advance gives you enough time to not feel stressed. Make sure to keep out enough clothes and essentials until closer to moving day. Separate your valuables. You should keep your jewelry, money, and other valuable items separate from the rest of your stuff to prevent them from getting damaged, stolen, or lost. Put these in a special box and keep it with you throughout the move. Your move is just around the corner. It’s time to start finalizing your arrangements and getting everything in order. 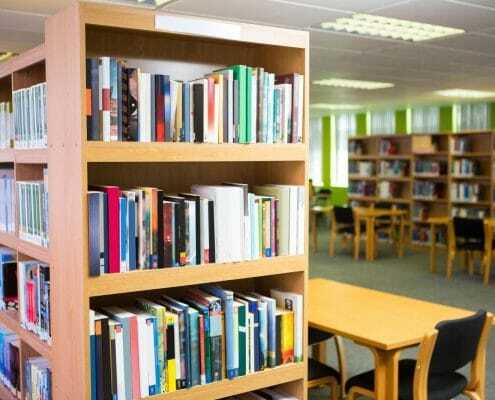 Make sure to return any library books and other borrowed items before you leave. Also, make sure that you’ve picked up any dry cleaning or other things that are loaned out. Pack an “essentials bag” for each member of your family that holds enough clothes to last throughout the move, including toiletries, snacks, water bottles, activity books for the kids, and anything else you’ll need. Donate any clothes and other belongings that you aren’t taking with you to a local charity. It’s here! Make sure to gather all of your boxes and belongings into one area to make things as easy as possible tomorrow. Give your apartment or home a deep clean to get it ready for the next occupants. Defrost your fridge and empty your cupboards. Donate any food items that you aren’t taking with you to a local food pantry. Take apart large furniture to make it easier to move tomorrow. Yay! The day has arrived! Now all you have to do is pack up all your boxes and make it to your new home. Make sure every last thing is out of the house. You don’t want to leave anything behind! Load it up! Pack all of your belongings into your truck or van, packing fragile items last. Don’t forget to keep your essentials bags, important documents, and valuables with you at all times, separate from the rest of your belongings. Rejoice! You’re on your way to your new city! The hardest part is over. During the moving process, make sure to take some time to relax and de-stress. Plan for some fun time with friends and family, so you don’t feel overwhelmed by packing and boxes. You can even make a playlist for the day of the move to keep things fun and light! Hopefully, this checklist will help you stay organized and do tasks a little at a time to keep from feeling overwhelmed. Keep your end goal in mind: making memories in your new home with your family.